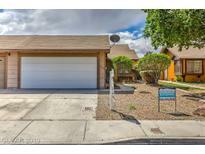 Below you can view all the homes for sale in the Sequoia subdivision located in Las Vegas Nevada. 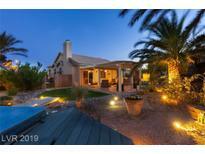 Listings in Sequoia are updated daily from data we receive from the Las Vegas multiple listing service. To learn more about any of these homes or to receive custom notifications when a new property is listed for sale in Sequoia, give us a call at 702-323-5951. All offers must have financing approval letter and/or proof of funds when submitting please. MLS#2088052. Elite Realty. New granite counter tops, stainless steel appliances, neutral paint throughout, and spacious bedrooms. Open airy layout. MUST SEE! ! MLS#2083647. Resolution Realty. Single-story 2 Bedroom, 2 Bath Townhome, No Hoa, Ceiling Fans, Blinds, Refrigerator, Washer, Mirrored Closet Doors At Master Bedroom, Large Patio**see It Today, Will Not Last Long** MLS#2084283. Keller Williams Market Place I. Back yard is one of the largest in the neighborhood, Gas line fire pit, aluma wood patio cover and custom outdoor BBQ area. Artificial turf side & back yard. MLS#2081706. Huntington & Ellis, A Real Est. Upgraded features include a new roof and fresh interior and exterior paint. 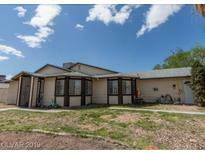 MLS#2077678. Opendoor Brokerage LLC. You cant beat this location! Welcome home! MLS#2075944. BHHS Nevada Properties. Near Shopping and Bus Route! SUPER CLEAN!! LIKE NEW! MLS#2066478. Evolve Realty. Not far from Lake Mead National park, Valley of Fire and more. BRING ALL OFFERS MLS#2055135. Coldwell Banker Premier. Not far from Lake Mead National park, Valley of Fire and more. BRING ALL OFFERS MLS#2055145. Coldwell Banker Premier. Near restaurants, shopping, freeways, and bus lines. MLS#2040906. Realty ONE Group, Inc.
All New Stainless Steel Kitchen Appliances Convey with Property, along with Washer and Dryer Vaulted ceiling in living room with gas fireplace*2 car garage , master bathroom has tub/shower combo*Nice backyard A must see** MLS#2036129. Realty ONE Group, Inc.